Subsidized English Translations of essays for the booklet: "Kiyoji Otsuji 'Gutai Photographer' 1956–57"
JCRI subsidized English translations of essays for the booklet “Kiyoji Otsuji ‘Gutai’ 1956–57,” an insert to the photography portfolio “GUTAI PHOTOGRAPH 1956-57, both published by Tokyo Publishing House. The Gutai Art Association (Gutai Bijutsu Kyokai) was established in 1954 in Ashiya, on the initiative of painter Jiro Yoshihara. Yoshihara was the charismatic founder and undisputed reference point for the group of young artists including Shozo Shimamoto, Akira Kanayama, Chiyu Uemae and Tsuruko Yamazaki. They were later joined by Sadamasa Motonaga, Saburo Murakami, Kazuo Shiraga, Fujiko Shiraga, Yasuo Sumi, Atsuko Tanaka, and Michio Yoshihara. The group neglected existing expressions and materials in contemporary art, striving to devise unprecedented artworks. 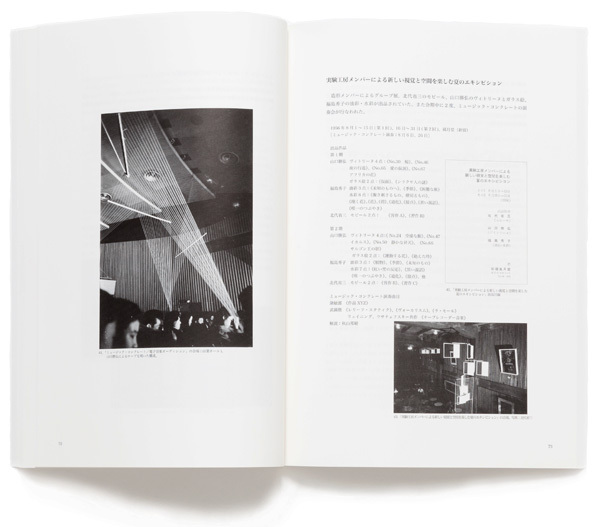 The movement did not simply hold exhibitions, yet published the “Gutai” journal as the group’s mouthpiece, and organized open-air exhibitions, such as the unconventional issue Gutai Art on Stage, or the later Gutai Sky Art Festival on top of a department store. Particularly the works of the initial, experimental phase have been detected as prototypes of the Happening, of Performance, and Installation, as well as many other contemporary art forms. Since the 1990s, not only the Venice Biennale, but a broad range of international exhibitions concerning Japanese Postwar art have gathered the Gutai members in retrospectives. Ever since the French critic Michel Tapié had introduced their works outside of Japan as “Japanese example of Informel painting”, they were highly valued. The photo-portfolio “GUTAI PHOTOGRAPH 1956-57”, documented the “2nd Gutai Art Exhibition” held at Tokyo’s Ohara Hall in 1956, as well as the “Gutai Art on Stage” performance issue, presented at Sankei Hall, Tokyo, in 1957 for the magazine Geijutsu Shincho (Art Criticism), for which Otsuji worked at the time as a professional photographer. 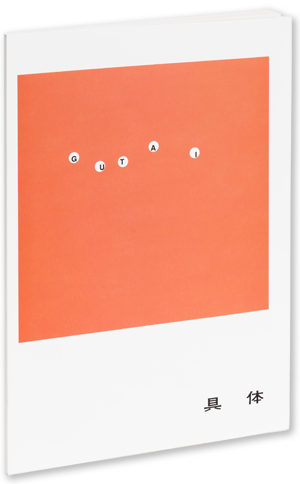 On the other hand the new booklet “Kiyoji Otsuji ‘Gutai’ 1956–57,” provides supplemental material to the portfolio and includes scholarly essays by Gutai specialist Koichi Kawasaki, and the Gutai historians Kin’ichi Obinata and Masahiro Kodaira. The JCRI subsidized English translations by Christopher Stephens.